Clark Mason Attorneys is an Arkansas based law firm with well over a quarter century of experience in Arkansas, Tennessee, Oklahoma and throughout the United States. Protecting the rights of individuals, their families, our farmers and Arkansas businesses, the firm is dedicated to our clients and offers an unparalleled personal commitment to achieving exceptional results. Personal attention, together with diligent, detailed and extraordinary preparation is what sets our firm apart. The firm successfully handles cases ranging from those who have suffered devastating personal injuries, families who have lost loved ones through wrongful death together with cases involving nursing home abuse and neglect, business litigation, railroad and aviation law. This includes legal matters involving airplane and helicopter crashes, injuries to railroad workers, or defective products. And while every client is unique and equally important, we at Clark Mason Attorneys are particularly gratified by the success and reputation we have developed representing and protecting the rights of farmers and their way of life. For years Arkansas farmers and, in general, American farmers had little recourse and few attorneys they could turn to experienced in major agricultural litigation. We have successfully represented our farming clients in cases involving "Agri-Industrial-Giants" like Monsanto, Bayer and Syngenta and focus extensively each day to help our farming clients facing significant economic losses caused by the wrongful conduct of "Agri-Industrial Giants" that so heavily influence today's modern farming operations. To that end, we likewise work with clients such as Arkansas' agricultural equipment suppliers in an effort to serve maximize yield by Arkansas farmers through use of the latest advancements such as unmanned aerial systems, commonly known as "drones", and represent market leaders in this rapidly developing and essential technology now available to today's farmers. 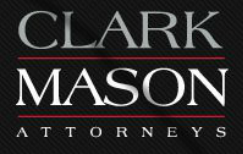 Clark Mason Attorneys has established a tradition of innovative and effective representation that distinguishes our firm. Our expertise and experience has consistently resulted in large verdicts and settlements for our clients that compensate them for their business losses or the anguish associated with catastrophic injuries or death of loved ones. Recognized and respected for our courtroom successes and personal commitment to our clients, we remain prepared to devote our full resources, our experience and professionalism to work for you.